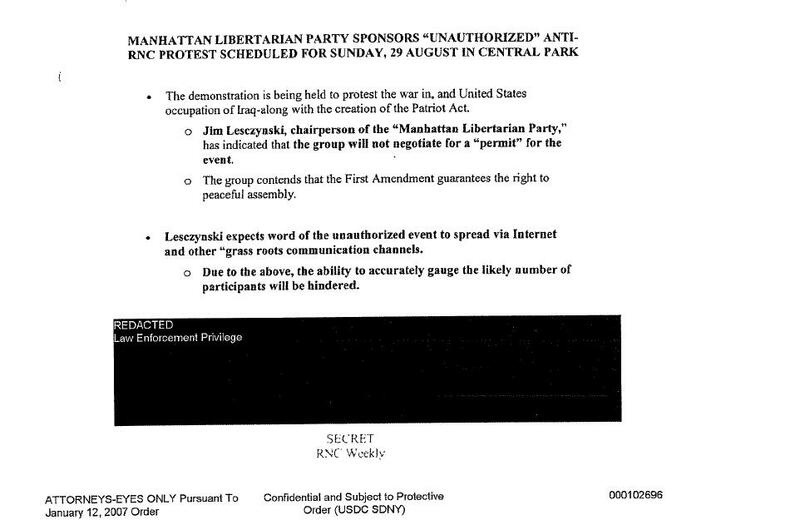 I wonder what the NYPD would contend the First Amendment says. On second thought, maybe I don’t want to know. My mom will be so proud of me. Of course everyone knows that First Amendment is subversive stuff. I wonder how much that cost the taxpayers of our fair city. I just linked here from the NY Times. Nice work, rabblerousers! Kyle – you should run your Bush Carol play again. Any more great subversive stuff like that over at Blue Coyote Theatre? So J Lesczynski comes after Jay-Z in the dictionary and the rnc policy spy index. Hopefully it may have inspired another MLP candidate.